Before you even crack an egg you can often see an immediate difference with the variations in size, shape and colors. 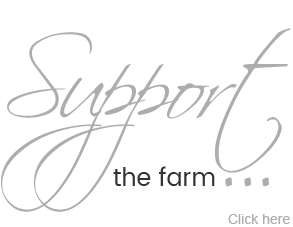 Farm eggs usually aren’t uniform. Once you crack a pastured, fresh egg you will most likely be able to see a more orange yolk versus a pale yellow color from factory hens. Although the factories are on to this and can mimic the dark color with supplements. 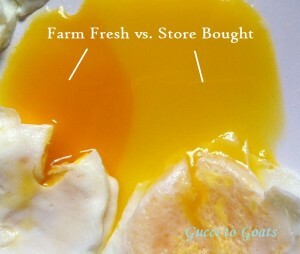 You’ll notice the farm fresh yolks tend to sit higher and whites are firmer (you can even see this in the image above). Happy hens need sun, fresh air, exercise and a varied diet, none of which a cramped egg factory can provide. I also add lots of love and affection and that’s certainly not something they get in a factory.